Salt Lake City needs to completely rethink transportation. Salt Lake City has been the leader in transportation in Utah with progressive bicycle and pedestrian programs such as the Pedestrian and Bicycle Master Plan of 2015 and the Complete Streets Ordinance of 2011, the Transportation Demand Management ordinance, and with previous mayors driving home the creation of the TRAX light rail (Deedee Corradini administration) and the S-Line Streetcar. It's time for the capitol city to once again lead the State of Utah forward. With the hiring of new transportation director Jon Larsen, Salt Lake City has a chance to reset their transportation policy. Larsen, a transportation planner for Wasatch Front Regional Council, is also chair of the Utah Chapter of the Congress for the New Urbanism, appears to be a great choice for the position. According to their website, “The Congress for the New Urbanism (CNU) helps create vibrant and walkable cities, towns, and neighborhoods where people have diverse choices for how they live, work, shop, and get around. People want to live in well-designed places that are unique and authentic. CNU's mission is to help build those places.” If Larsen leads with those principles in mind, then Salt Lake City could be in good shape moving forward. To get there, however, Larsen will have to push the ideals of progressive transportation to the Biskupski administration. Over the last year and a half of the Biskupski tenure, there has been forward progress by the Transportation Division on bicycling in particular. 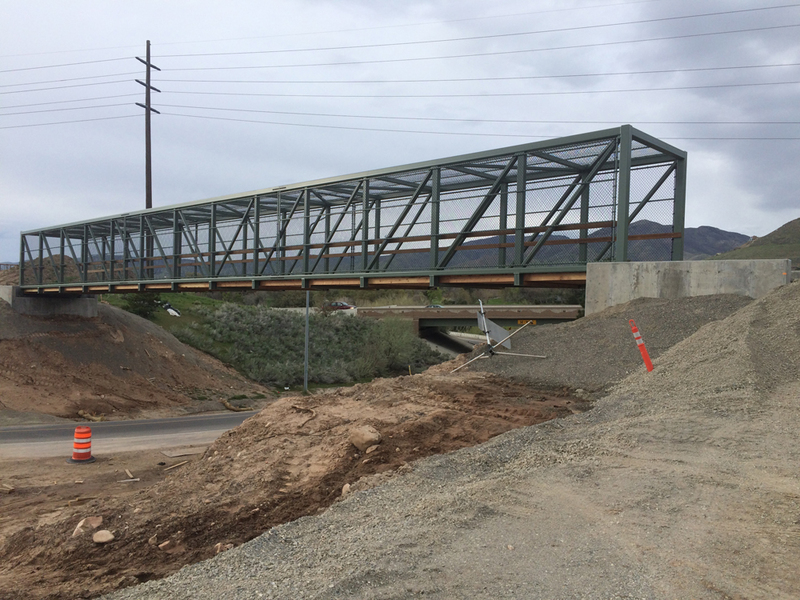 The completion of the University to Downtown Bikeway, funding for the 300 N bike and pedestrian bridge, and the near completion of the 200 S to N. Temple bridge on the Jordan River Trail stand out. But there have been some regressive decisions from the Mayor's Office. The Mayor pushed to remove the protected bike lane on 300 S. between 300 W and 600 E. as one of the first items on her agenda (which fortunately remained in place). Following this was a decision to not have protected or at least buffered bike lanes on 300 S. east of 600 E. during the University of Utah bikeway construction. And, later on, the Mayor overruled various master and small area plans and refused to install a road diet and bike lanes on 2100 S. between 1700 E and 2300 E.
Biskupski has also stated that she doesn't want to see any more protected bike lanes in Salt Lake. (http://fox13now.com/2017/05/23/slc-mayor-wants-to-add-more-bike-lanes/) Protected bike lanes, however, are a key to getting more people to ride, especially those that feel more vulnerable on the road. And, they are safer. Both of which are key tenets for better biking and better transportation in Salt Lake City. Biskupski also stated that she doesn't want to see more rails in Salt Lake City until a Transit Master Plan is adopted (http://archive.sltrib.com/article.php?id=2815022&itype=CMSID). The plan is, as writing this, in the public hearing phase with the City Council, and will likely be adopted soon. It will remain to be seen whether or not the Mayor supports new rail, such as the extension of the Sugarhouse streetcar, or the extension of TRAX to the International Center or along the Foothill – Wasatch Blvd corridor. These sorts of decisions by Mayor Biskupski put forth a mixed message on the direction that Salt Lake City is headed and are antithetical to a progressive transportation policy. Salt Lake City cannot afford to continue on the car-centric path it is on. With the projected growth in the Salt Lake Valley, there simply won't be room on the roads for more cars. Cycling Utah is calling for a complete reevaluation and reconfiguration of our transportation system to one that is people-first, sustainable, safe, and progressive. What could a People-first Transportation policy look like? We present some ideas below that we hope to see implemented in Salt Lake City. The plan presented below is a starting point, and is by no means complete, but is hopefully a catalyst for discussion and change. Vision: Salt Lake City will move forward with a progressive, sustainable, safe, and people-first transportation system. Salt Lake City needs to follow its trendsetting resolution on carbon emissions and rapidly implement a policy for a carbon free (or at least 80% reduced) transportation system. In November 2016, Salt Lake City passed a resolution to convert to 100% renewable energy for municipal operations and to reduce community carbon emissions by 80% by 2040 (http://docs.wixstatic.com/ugd/26b4b3_38cc4033433641a18811f468ef0ecf95.pdf). According to the EPA website, transportation is responsible for 27% of the carbon emissions in the U.S. (https://www.epa.gov/air-pollution-transportation/carbon-pollution-transportation). Additionally, transportation is responsible for 57% of the air pollution on the Wasatch Front. (http://www.kued.org/whatson/the-air-we-breathe/background/pollution-sources). In order to reach the goals of the resolution, and concurrently reduce the air pollution on the Wasatch Front, the policies and planning of today need to be replaced by a complete rethinking of its transportation system. While electric cars, buses, light rail, and streetcars can be powered by solar generated electricity, they are still energy intensive in their production and implementation. Electric cars in particular still create a host of land use, congestion, time, and environmental issues. Parking is expensive, increases rents by $200+ per month thus decreasing affordable housing. Congestion wastes peoples lives, and results in more land space dedicated to roads, and thus less to people, wildlife, open space, and other uses. The manufacturing of automobiles, is a large energy sink as well. The carbon budget for cars can range from 6-35 tons (https://www.theguardian.com/environment/green-living-blog/2010/sep/23/carbon-footprint-new-car and How Bad are Bananas? : The Carbon Footprint of Everything by Mike Berners-Lee). This implies a need for greater investment in Active Transportation (biking, walking). What components would a people-first transportation system have in regards to sustainability? Goal of elimination of air pollution. Vision Zero: Salt Lake City needs to create a Vision Zero Salt Lake strategy. Salt Lake City's streets, all of them, should be safe and equitable for people using all modes of transportation including those using their feet, bikes, buses, and automobiles. What will this take to get there? A complete and safe bicycle route network. This will require the full and complete implementation of the 2015 Bicycle and Pedestrian Master Plan, but not in the 20-30 years spelled out in the plan, but rather in 5. Streets such as State Street, 700 E., 400 S. etc. 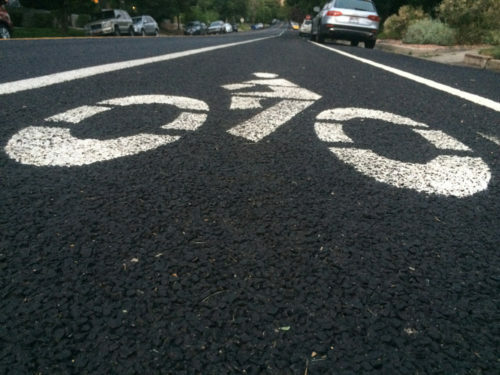 (mostly UDOT roads) will need bike lanes installed as soon as possible. This will require resolve and political support from the Mayor and Council to demand that UDOT rethink their approach to those streets that they control within Salt Lake City. Currently, UDOT is a huge impediment to safe and progressive transportation in Salt Lake City. This should include a rapidly expanded protected bikeway network. Salt Lake made great strides with the implementation of 300 E, then 300 S, and followed by 200 W, along with national trendsetting protected intersection at 200 W and 300 S. Unfortunately, the Mayor has been unreasonably opposed to protected bikeways. One of her first initiatives in office was to attempt to remove the 300 S. Cycle Track. 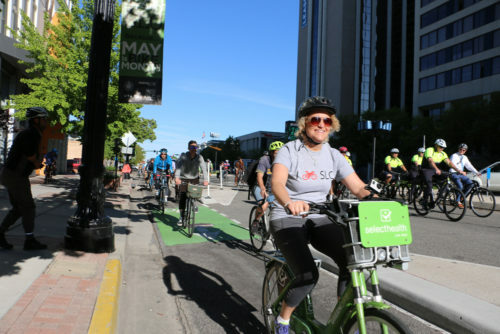 While she has since backed off on this, she is on record as stating that she does not want to see any more protected bike lanes in Salt Lake City. This is not in concert with the Pedestrian and Bicycle Master Plan, nor in agreement with worldwide trends. A complete reevaluation of pedestrian facilities, crossings, and dangerous intersections. This would include looking at how traffic-control devices are used for pedestrians, speed limits, safety programs, and more as well as street design and how it effects pedestrians. A complete reassessment of speed limits in Salt Lake City. All residential and most non-arterial streets should be lowered to 20 mph. All arterial streets should be lowered to 25 mph at most. Why is the speed limit on 800 S 35 mph which is mostly residential and has bike lanes? Why is the speed limit 35 mph by the Hogle Zoo where there are tons of kids and family crossing? Why is the speed limit 30 mph on 1700 S, which is a narrow 2 lane city street with bike infrastructure? Traveling 1 mile at 25 versus 35 mph takes 144 seconds versus 102 seconds. This brief delay for the shorter distances within the city would result in safer streets, and fewer accidents, and less serious injuries. Seattle, WA just instituted a new speed limit policy that requires 20 mph on residential streets and 25 mph on arterial streets. This would be a drastic change in Salt Lake City. But a change for safer streets. What does it mean to have a people-first transportation system? People-first transportation puts the happiness, health, safety, mobility, and equity of the people and the environment at the forefront ahead of movement of vehicles, speed, and convenience. There need to be a complete reevaluation of transportation in Salt Lake City. Who does the transportation network serve? Is everyone being served equitably? What are the goals? What are priorities for different modes? How is transportation used and how will it be used with the rapidly changing technologies that are on the way such as on demand autonomous electric vehicles, decentralized bike share, and increased telecommuting. As such, Salt Lake City needs a Transportation Master Plan that looks towards the 21st century that puts into official city policy the ideas within this proposal, and many more. Can Salt Lake City ensure equity in the re-creation of this system for all users, and all areas of the city? Can we put the needs of people at the forefront? Please see our proposal – 10,000 Wheels for Affordable Transportation. This proposal would help low income people have options for transportation including bicycling, walking, transit, bike share, and automobile repair. See http://www.cyclingutah.com/advocacy/cycling-utah-calls-for-10000-wheels-initiative-for-affordable-transportation-in-utah/ for details. A complete change in how roadways are designed. Road diets are the reduction of travel lanes, generally going from 4 lanes of travel to 2 and a center turn lane. Salt Lake City is blessed and cursed with wide streets. The blessing being that they could allow for the implementation of Complete Streets in many places. The curse being that they cause induced demand of more traffic, and higher speeds. As such, Salt Lake City needs to look at an immediate and rapid road diet for the entire city. Streets such as South Temple, 500 E, 300 E, and 2100 S for example could be completely redesigned to become people-first streets that accommodate all users rather than autocentric, unsafe, and unfriendly speedways. 10 foot wide lanes should be the standard lane width. Narrower lanes are better roadway design, and result in lower speed limits, safer roadways, and more importantly, more room for bike lanes and sidewalks. For example, a roadway going from 4 lanes, each 13 feet wide (not including parking), to 2 lanes and a center turn lane (so, 3 total), each 10 feet wide provides an additional 22′ of right of way that could be used for bike lanes and wider sidewalks or pedestrian bulbouts. In some instances, this may be enough for protected bike lanes. There are many other best practices in roadway design that can lead to traffic calming and safer streets such as pedestrian bulbouts, proper use of medians, landscaping, sidewalk width, bike lane design, traffic-control devices, and more that lead to a better people-first transportation system. A complete change in parking policy in Salt Lake City. Salt Lake City has a large oversupply of parking, especially in the downtown area. Parking policy helps to dictate the number of cars on the road. Lesser amounts of parking lead to more people using non-automobile forms of transportation. And thus less air pollution, less congestion, and safer roads. Reduced parking requirements for housing result in lower development costs, and thus lower rents, and more affordable housing – which the Salt Lake Valley desperately needs. According to a study of parking in downtown Salt Lake City, each parking place increases rents by $225 a month (http://www.slcrda.com/meetingsmin/2016/BOD/0712/8.A.PARKINGSTUDY.pdf). This increases demand for cars as well, thus increasing congestion, pollution, and resource use. A reevaluation of downtown and the needs of pedestrians and cyclists in the Central Business District. Do we want Salt Lake to have a more friendly and open downtown, or to have more cars and traffic? Could we consider closing a number of streets, and redeveloping them into pedestrian malls? What about adding a number of parking garages on the perimeter of downtown and eliminating an equivalent amount of parking in the core to encourage more people to walk and ride their bikes? What about removing cars from streets such as Regent Street, which was just redesigned, so that these mid-block streets become places to walk and enjoy a meal or a shop and become a downtown oasis away from motorized traffic? The Mayor plans to institute an bicycle education program for the Central Traffic District (similar to the Central Business District) to encourage cyclists to use the street rather than the sidewalk. This would be a major shift in how cyclists are currently using the downtown space. From a recent bike count, approximately 1/3 of cyclists on 200 S and State (check) used the sidewalk. This is symptomatic of the lack of bike lanes in the downtown area, and the notion that cyclists will walk their bikes a half a block or ride 2-3 blocks out of their way to use a bike lane is ludicrous. Why not have bike lanes on all downtown streets as soon as possible? There's room immediately on streets like 100 S, State Street, 300 W, 700 S with a simple reallocation of space with narrower lane widths and installation of bike lanes. Why not have a downtown that is friendly and safe for human-powered transportation? Salt Lake City has many alleyways that would make great connections for bicyclists and pedestrians. There are several that connect to the brand new McClelland Trail for instance that would great access points to this inner city trail. Salt Lake City needs an inventory of the alleyways and a study on how they might be used for biking and walking connections. Is it as progressive as it can be? What can be done to improve business zoning to create more neighborhood businesses and thus less need for transportation? Salt Lake does have this, but it is not very well implemented, and not that many kids ride or walk to school. Currently, the Capital Improvement Program does not work fluidly with the Engineering Division and the Transportation Division. Planning for Transportation related programs often happens after the outline of the project is set by Engineering. This can result in streets that are not as progressive as they could otherwise be. A reevaluation of how budgeting and planning happens in regards to these projects is needed. An increase in budget for transit, bicycling, and pedestrian programs. Other cities have set aside specific budgets for increasing their infrastructure. Salt Lake City has increased their funding for these programs over the last 10 years, but it's often very difficult to figure out how much is actually dedicated to each of these modes of transport. A complete reevaluation of Transit and how it is used and implemented. Note that much of this will take place under the soon to be passed Transit Master Plan. Free fares on UTA within Salt Lake City limits. The Transit Master Plan, as of writing this, is under review by the Salt Lake City Council. Cycling Utah submitted comments on this (available on request). One puzzling aspect of the plan is the seeming underutilization of rails for the future of Salt Lake City. There are many opportunities for installing streetcars or TRAX lines. While there is some debate nationally on this, generally, the effect in Salt Lake City and County has been to transform land use and transportation. Each new rail line results in more Transit Oriented Development, and heavier use of transit. By centralizing development along transit corridors, places where people want to live and work become more accessible by rail. A strong push and leadership in putting Proposition 1 back on the ballot to increase the sales tax in Salt Lake County in order to fund transit, bicycling, and walking infrastructure. Salt Lake City needs a complete rewrite of its Complete Streets Ordinance. More than any other change in Salt Lake City transportation policy, this would rapidly transform Salt Lake City to having a people-first transportation network. As it reads, it's very progressive, however, the general provisions of the ordinance only apply to those streets that are being reconstructed or built for the first time, “Bicycle and pedestrian ways shall be established in the city's new construction and reconstruction projects in the public right of way, subject to budget limitations…” The result of this is that streets are required to be made ‘complete streets' when the are constructed for the very first time (which is very rare), or when they are completely reconstructed (which is rare as well). Reconstruction seems to only apply to those streets that are ripped out to their foundation, and then completely rebuilt. It does not apply to those streets that are simply being repaved with new tarmac, or resurfaced with slurry seal or chip seal. Almost all street work falls into the latter categories. The ordinance needs to be rewritten so that it applies to all street resurfacing and restriping projects. This would result in almost all of Salt Lake City streets being converted to Complete Streets in the next 7-10 years (the time frame when most streets are repaved). With this change, street projects such as the resurfacing of 2100 S would have resulted in the addition of bike lanes, pedestrian accommodations, and transit planning instead and thus a safer people-first street instead of keeping the non-functioning and unsafe status quo. This should have been the original intent of the program. And, it had functioned this way for the most part over the last 8 years under the previous administration. It hasn't been until recently that streets such as 2100 S have not been made complete when repaved. Alternatively, the Biskupski administration could sign an executive order to do this immediately. Rocky Anderson's administration did just this to implement the first complete streets policy in 2007 before it was passed as an ordinance. The plan presented above is meant to be a starting point for conversation and direction. It is by no means comprehensive, and we have no doubt that there are many other ideas and policies that would have great benefit to the residents of Salt Lake City. Ultimately, for Salt Lake City to create a 21st century sustainable, safe, and progressive city, a complete rethinking of what transportation means and how it is implemented is needed. We look forward to seeing what develops and if the current Salt Lake City government is up to the task. One Response to "Editorial: Salt Lake City Needs a Sustainable, Progressive, Safe, People-First Transportation Policy"
I personally am NOT a fan of on street bike lanes! I feel bicyclist can easily share sidewalks with pedestrians. Bicyclist are NOT safe in the streets with motor vehicles,plus I can not justify the cost of bike lanes and the usual loss of on street parking! In the case of a major street rebuild,a 10ft black top bike lane could be put on ONE side of the street.. That would be no different than a rails to trails project where walkers skaters bikers & dogs all share the same trail and there should NOT be a need to eliminate on street parking! Feel free to bash me with your opinions!! !